The Immigration Advice and Application Assistance Scheme (IAAAS) is funded by the Department of Home Affairs and provides professional migration advice and Protection visa application assistance to people who have arrived lawfully in Australia and meet specific eligibility criteria. 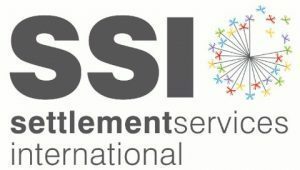 SSI will contract manage the project and oversee a national network of seven experienced qualified legal agencies, in developing a performance framework, facilitating the delivery of services to clients through these agencies and take referrals for the scheme from across Australia. Monitoring of outcomes against contract KPIs, work plans, registrations of qualified legal personnel engaged by the agencies to deliver immigration services. This is an exciting opportunity to lead a small national program to ensure positive outcomes for disadvantaged people seeking immigration advice and assistance. Do you have previous program and/or contract management experience, with an understanding of refugee, asylum seeker and migrants’ needs? If so, this could be your next role! We are looking for someone who is open minded with a commitment to Human Rights and principles of fairness and justice. Your ability to communicate effectively, influence others, and build collaborative relationships with stakeholders will be integral to your success in this role. We need someone with strong skills in quality assurance, compliance and financial management. If this sounds like you, we’d love to hear from you! Please quote in application: Program Manager - IAAAS via Pro Bono Australia.